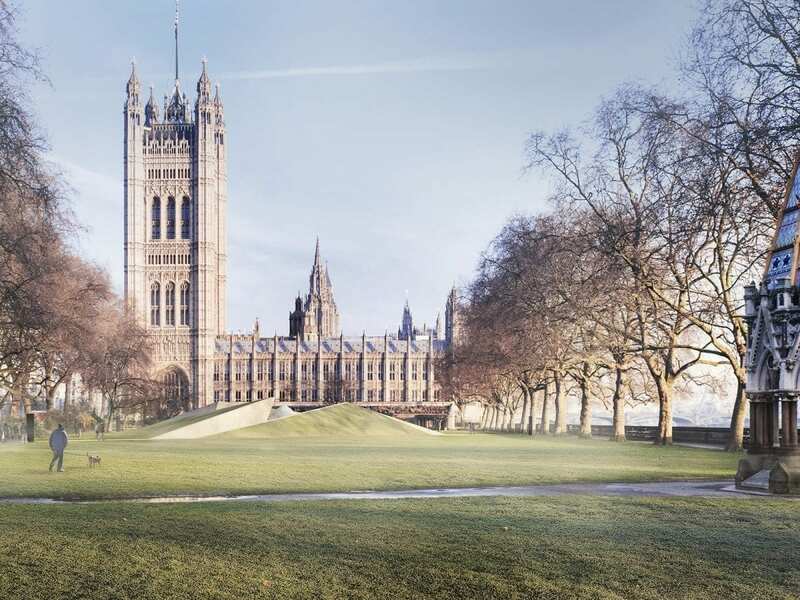 The recent U.K. 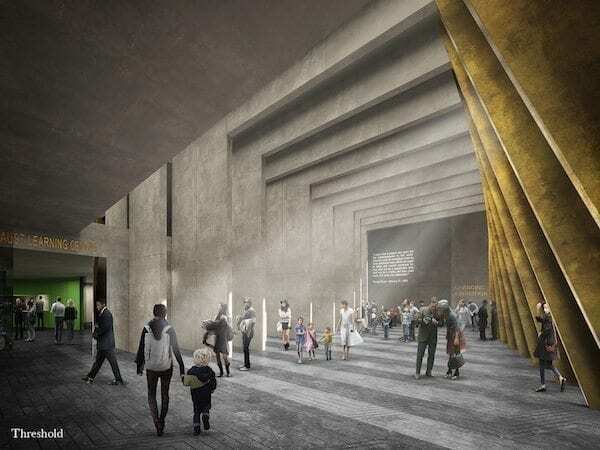 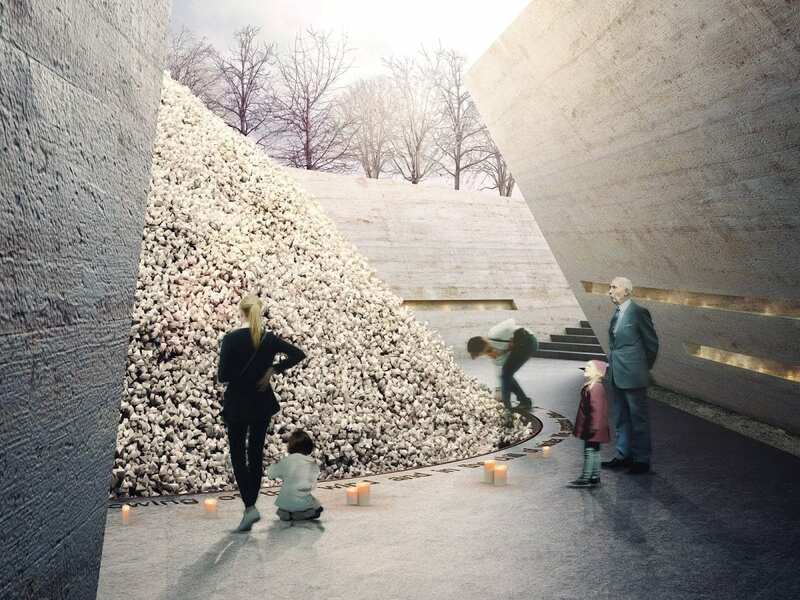 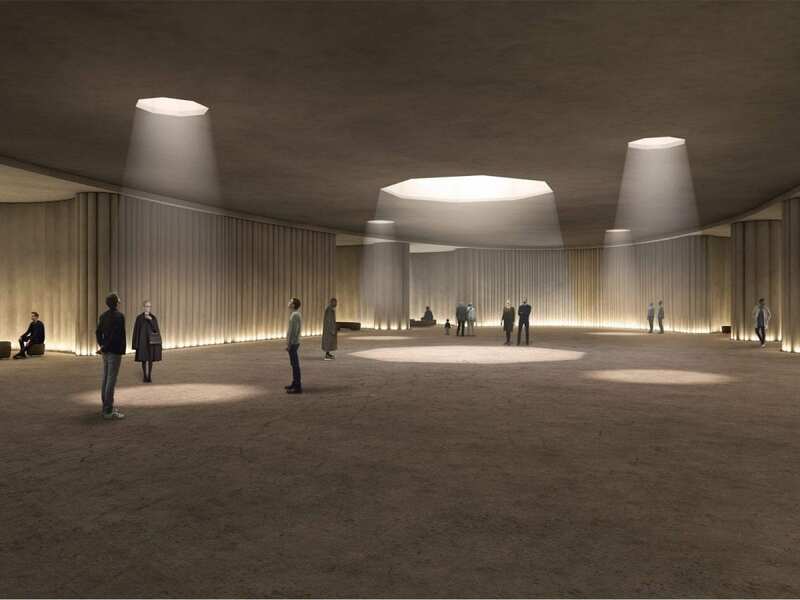 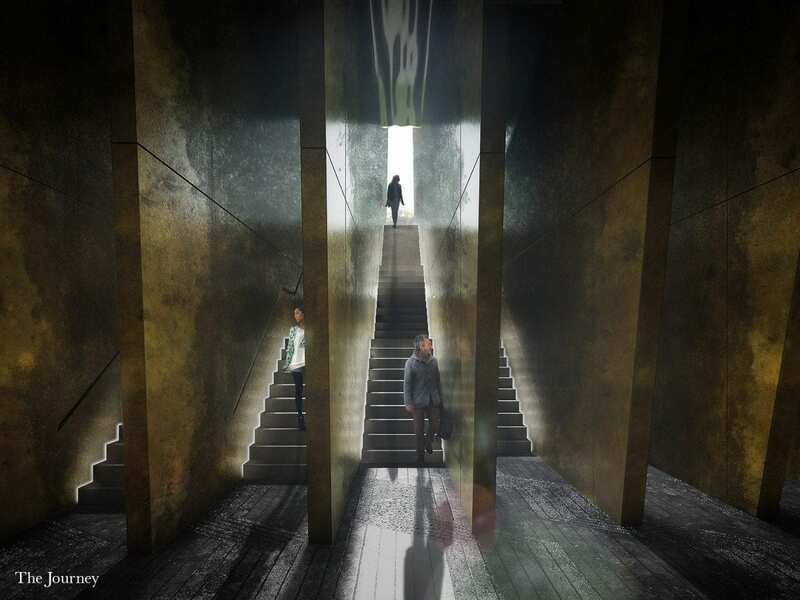 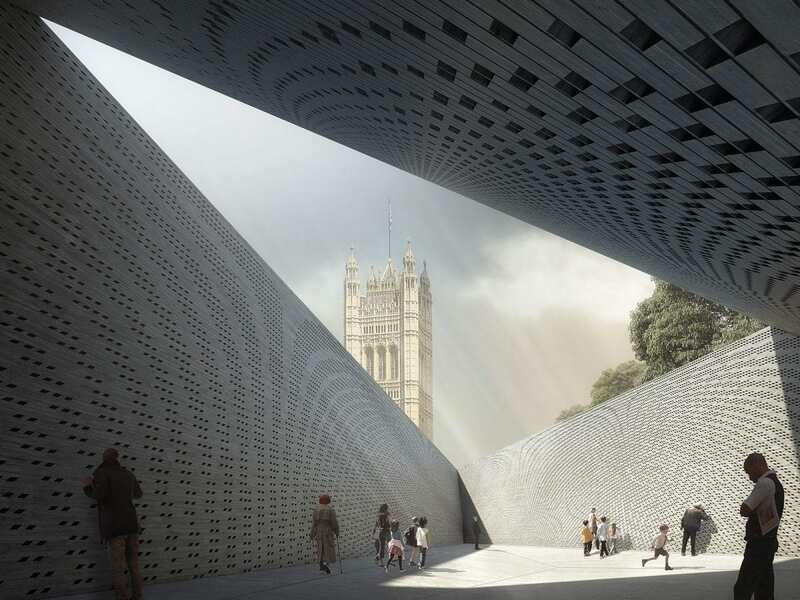 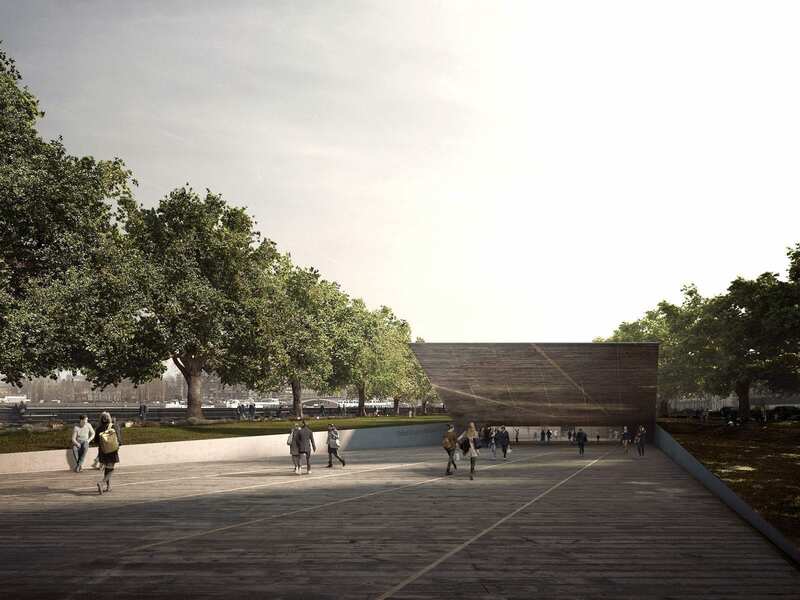 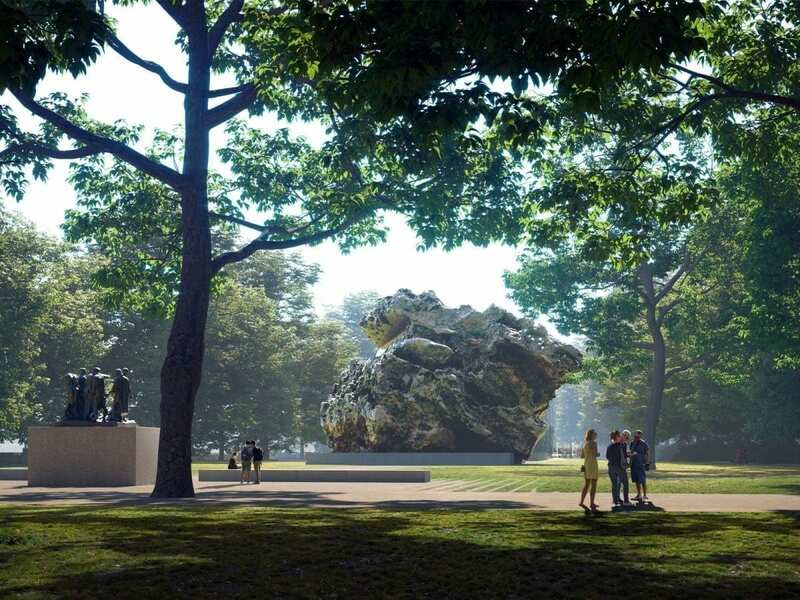 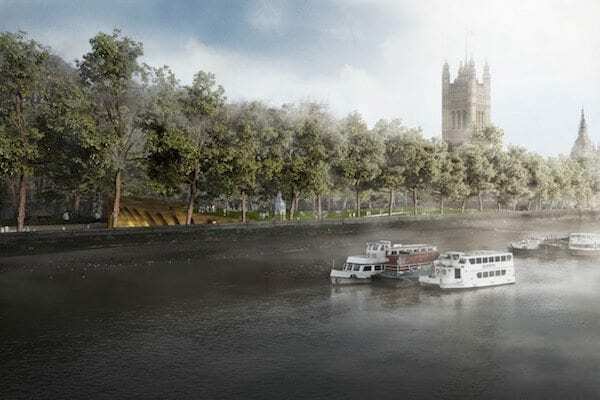 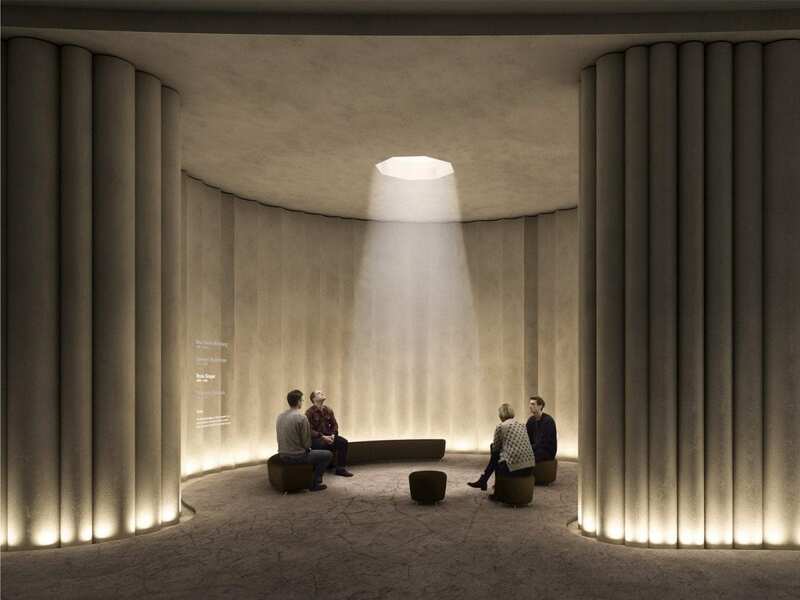 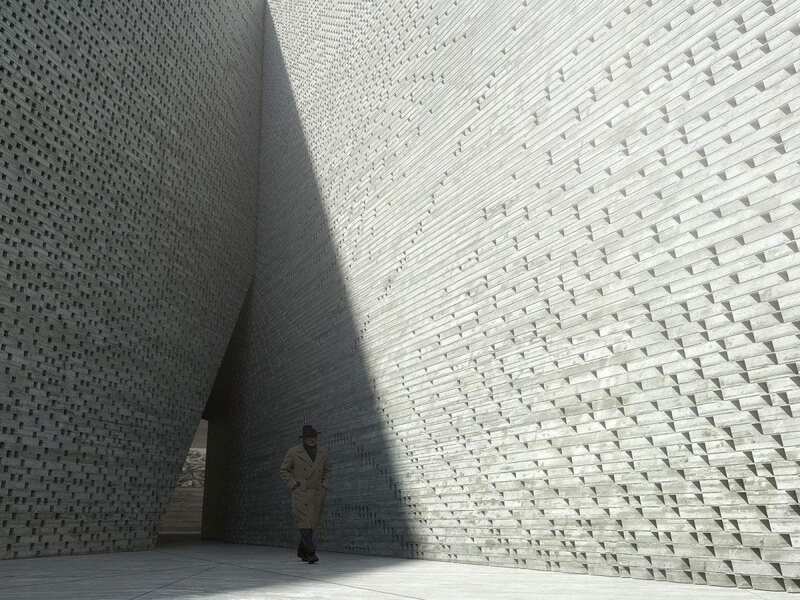 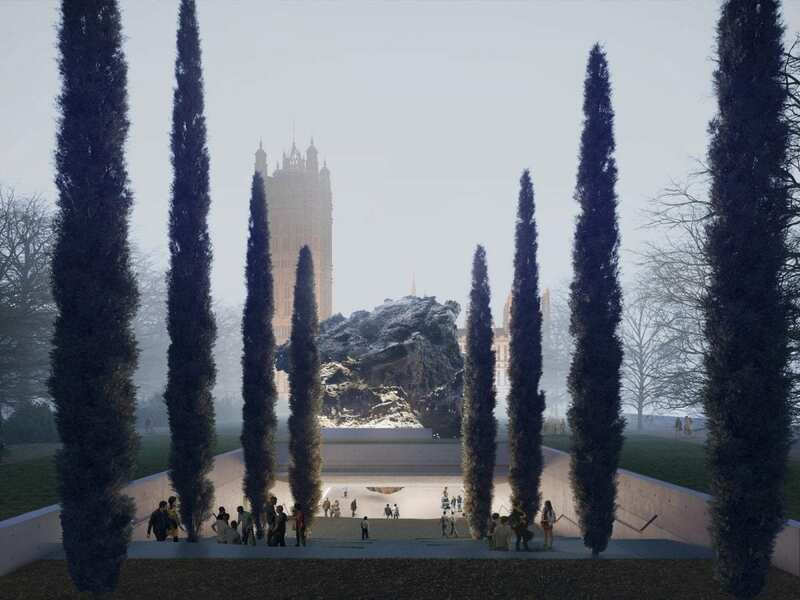 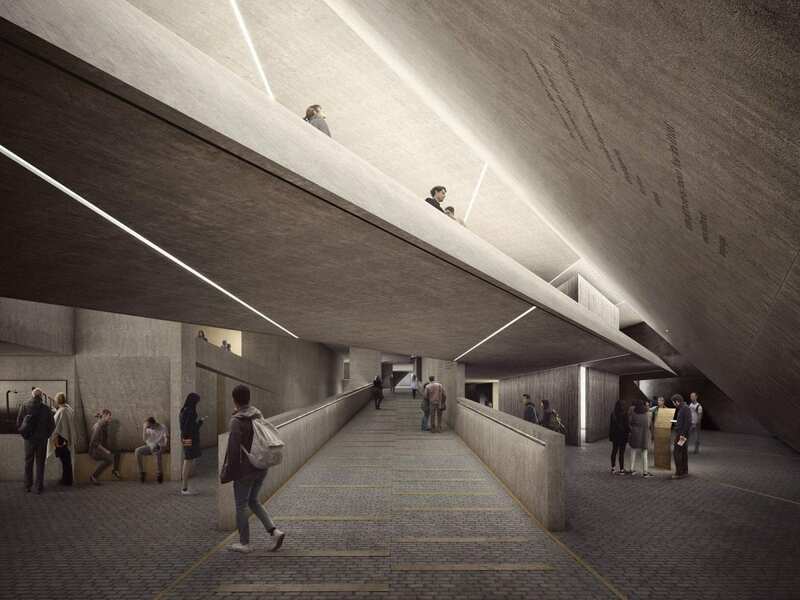 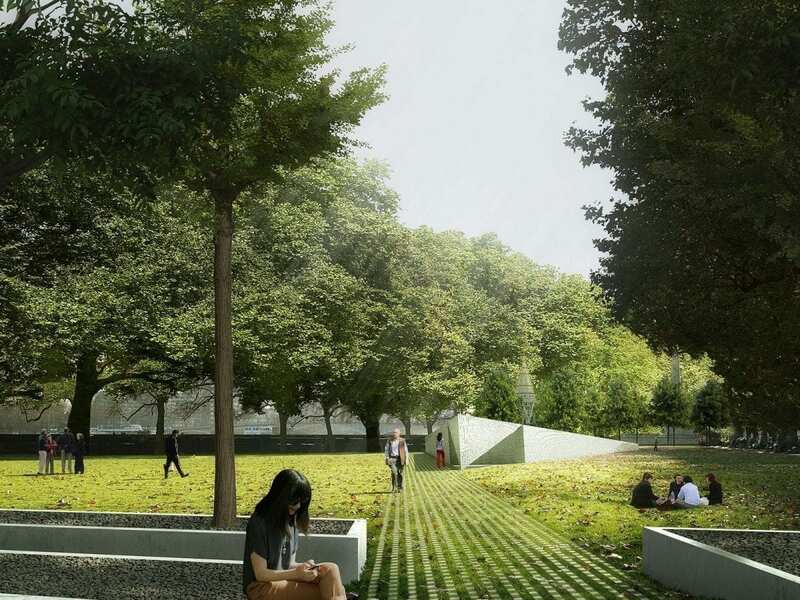 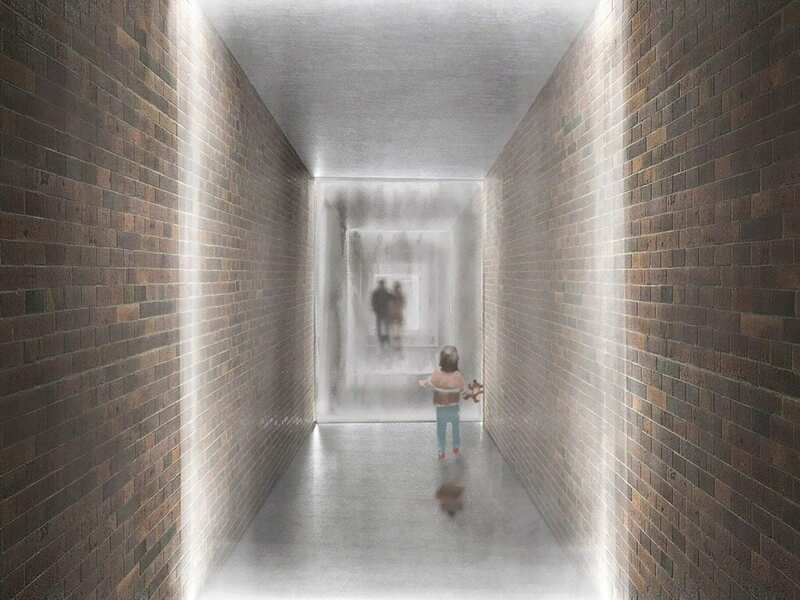 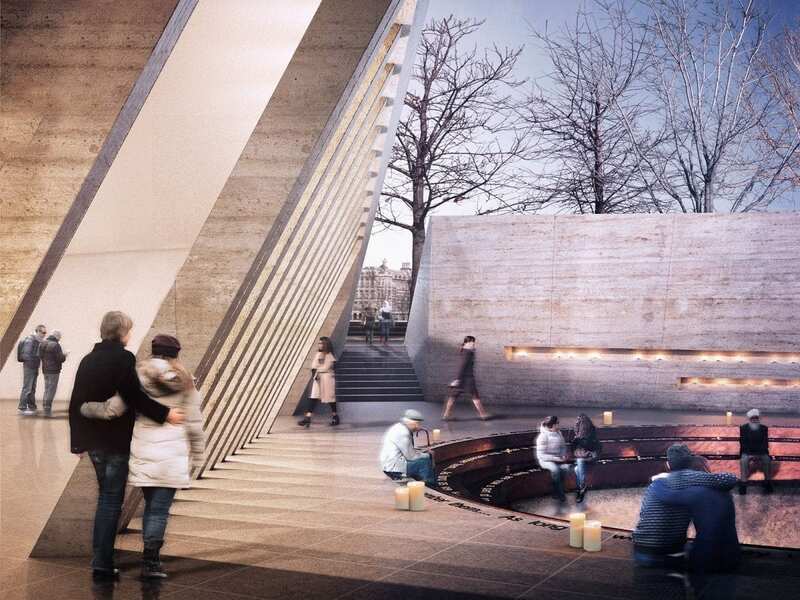 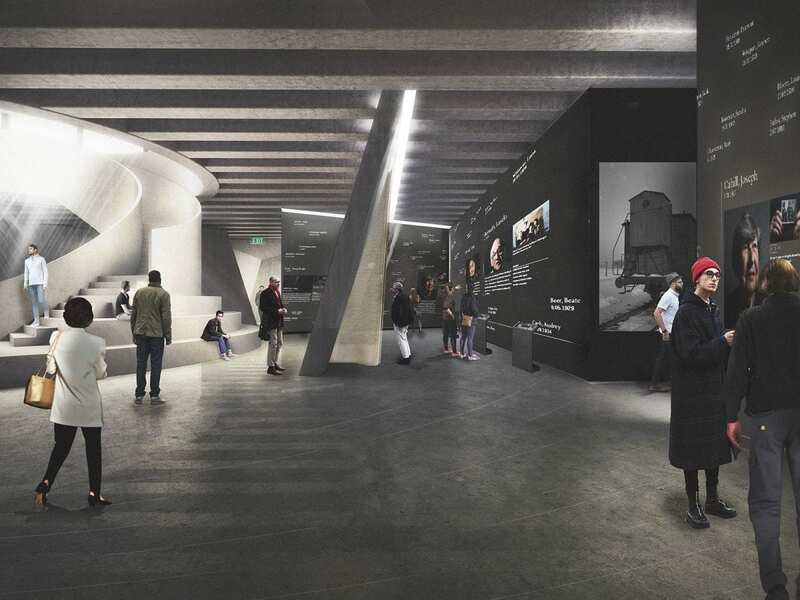 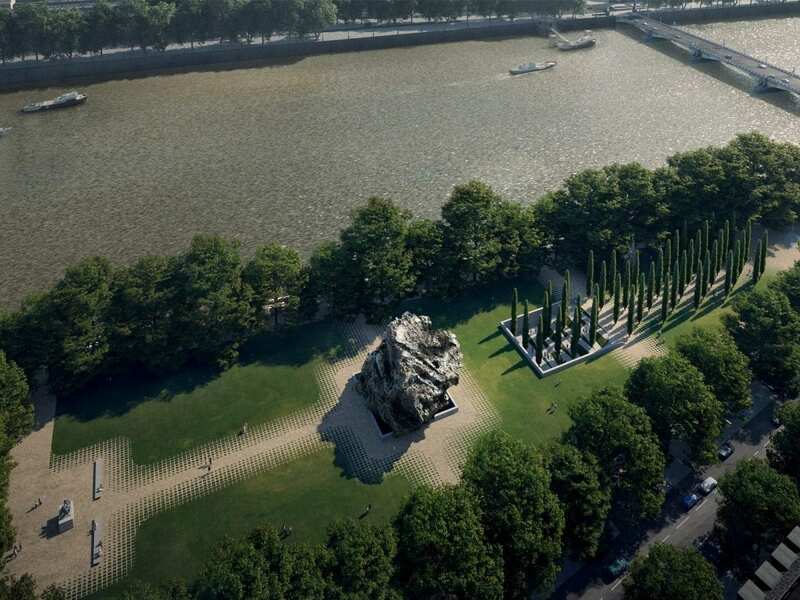 Holocaust Memorial Competition in London concluded with designs from ten high-profile international firms . 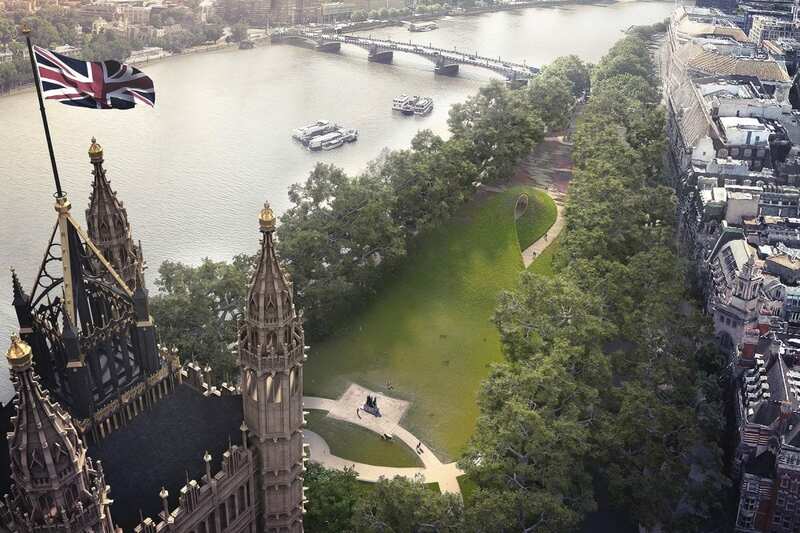 This began with a short-listing procedure which attracted expressions of interest from 97 international firms. 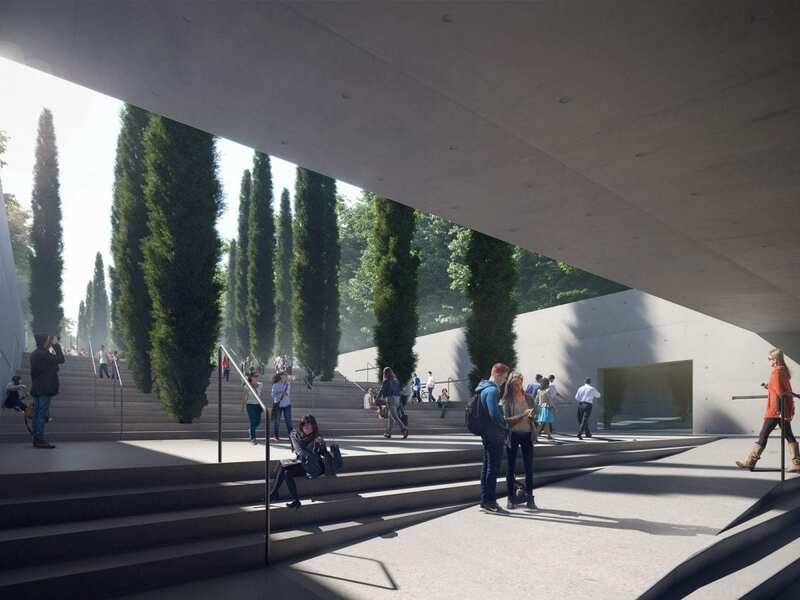 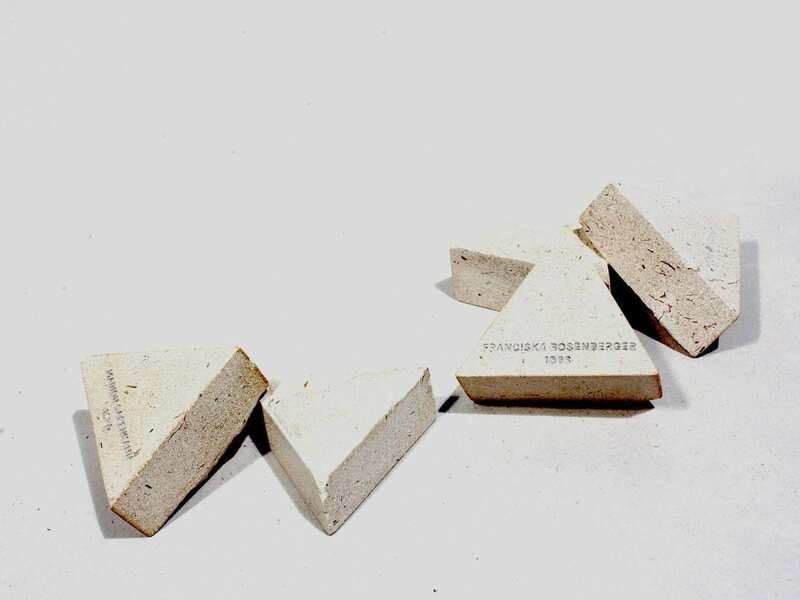 In contrast to the entirely open Jewish Museum competition in Berlin, which was won by Daniel Libeskind, there would be no Libeskind suprise here—though he was included in this shortlist—as most of the contenders were in the possession of long, impressive resumés, a required precondition for being part of this select circle. 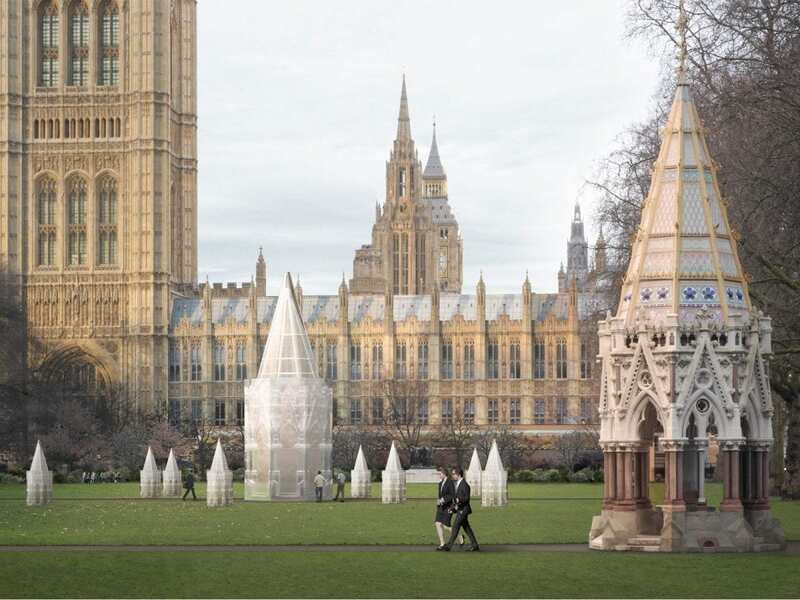 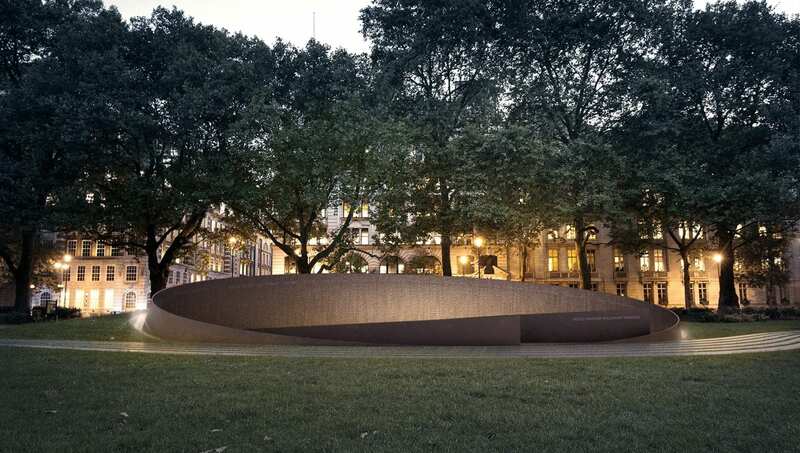 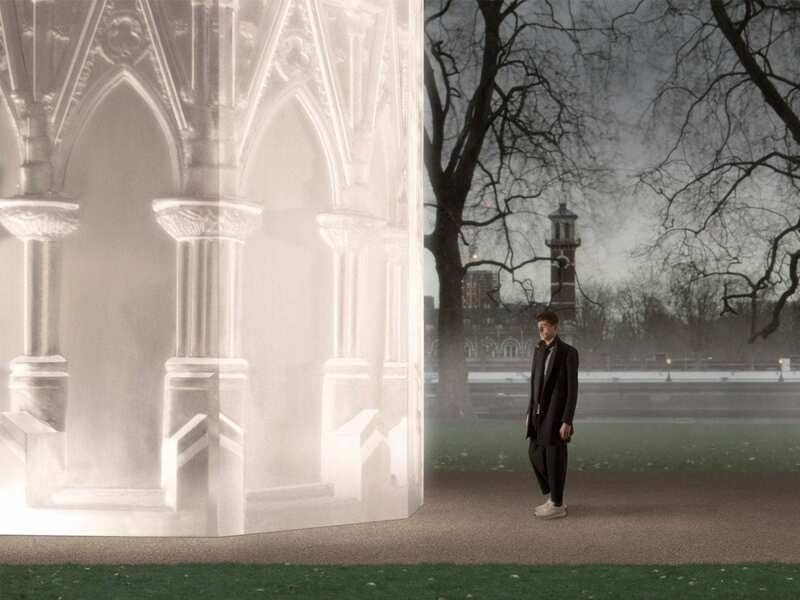 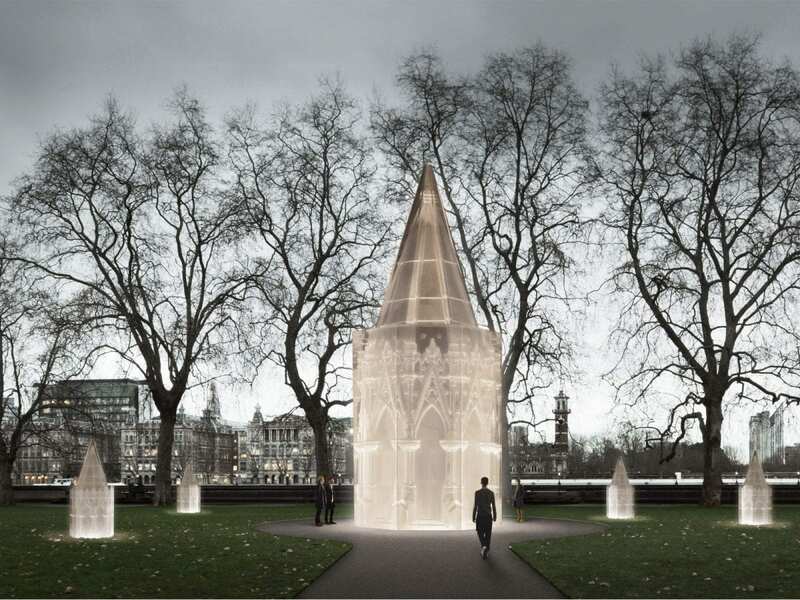 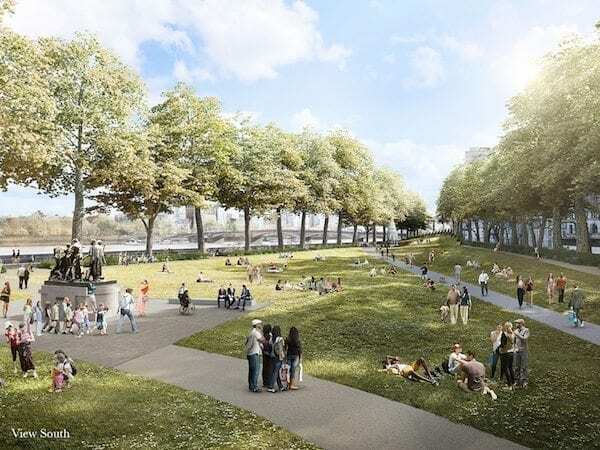 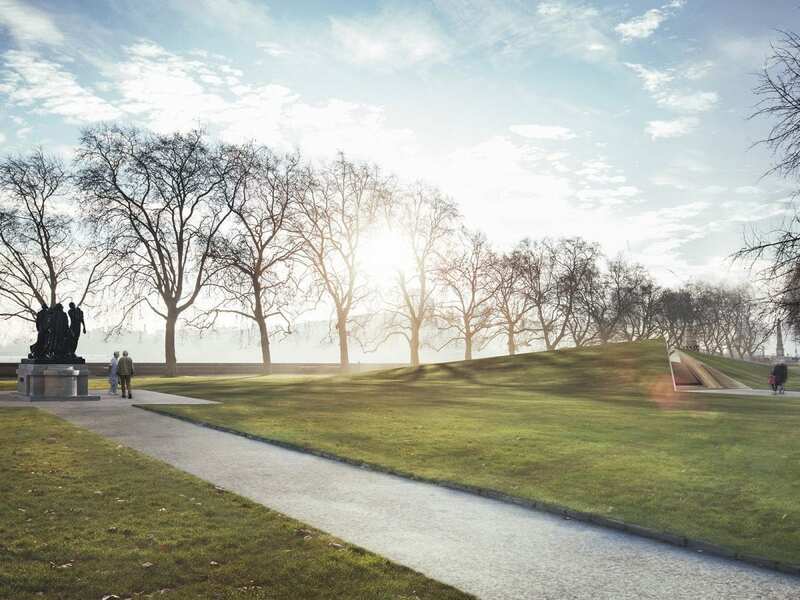 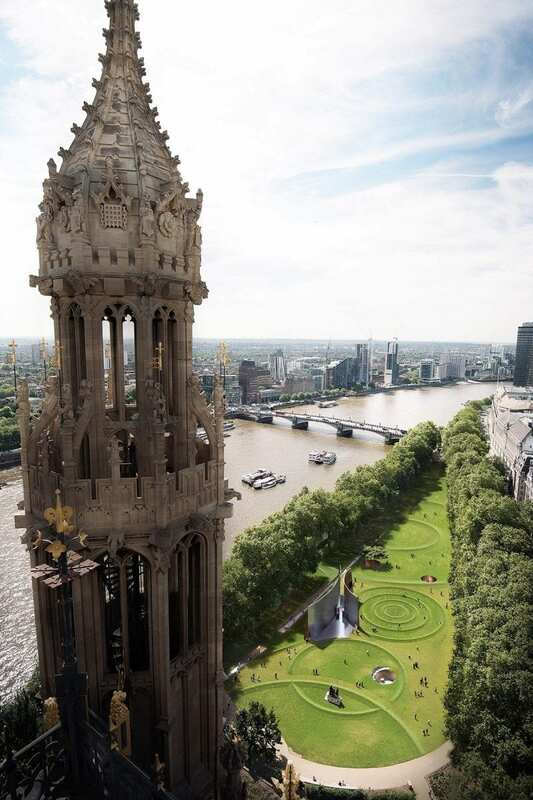 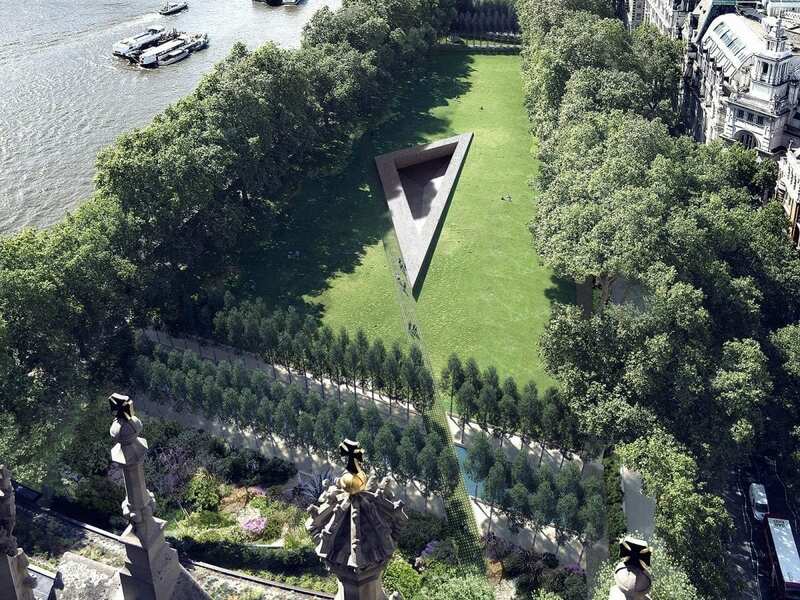 Since the competition site was smack in the heart of London’s central core—immediately across from the Parliament building—and, because of the presence of two other memorials at opposite ends of the designated area, it was restricted to the middle of an exposed triangular site. 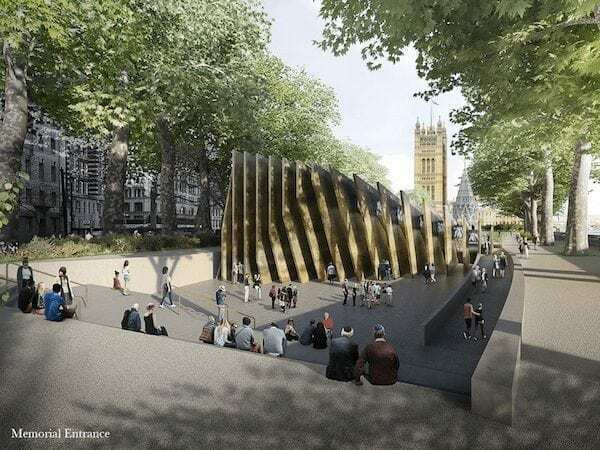 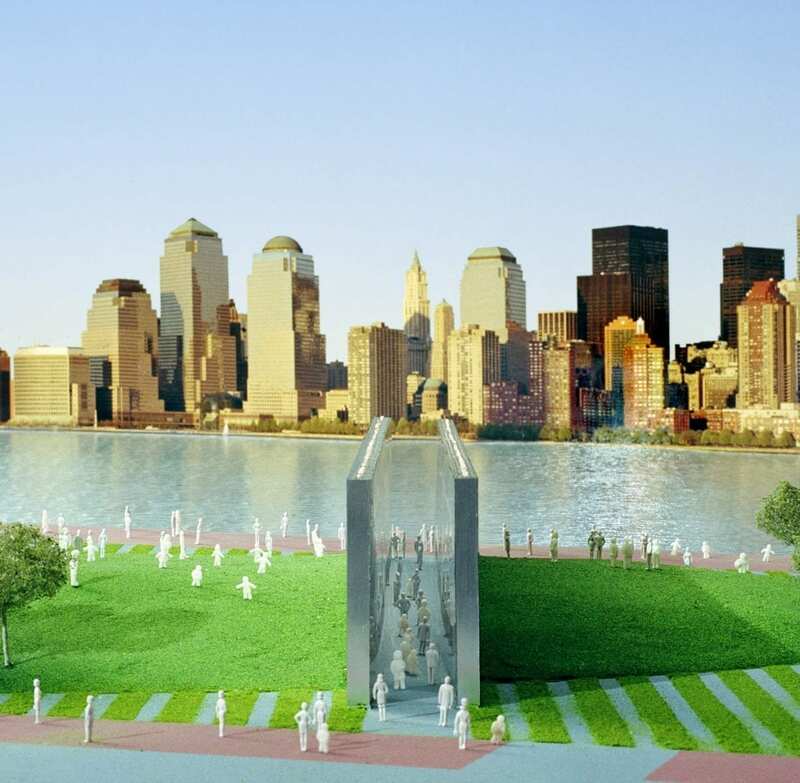 So you had to take the other memorials into consideration, make some sort of identifying design statement to the outside world, and create at least a sense of spatial seclusion. 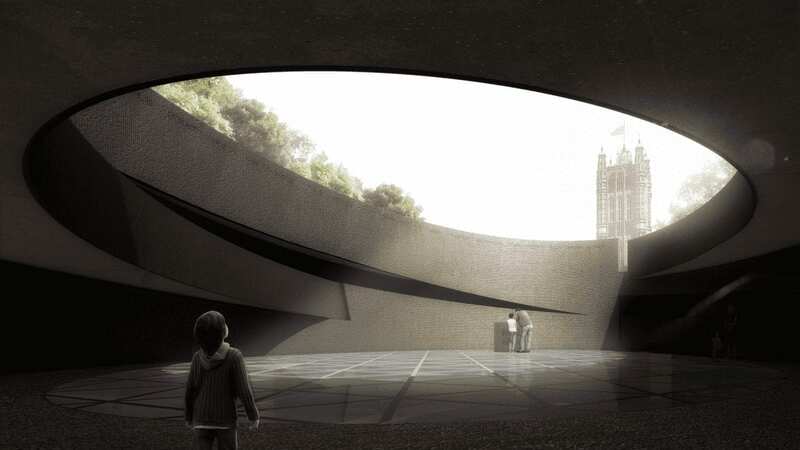 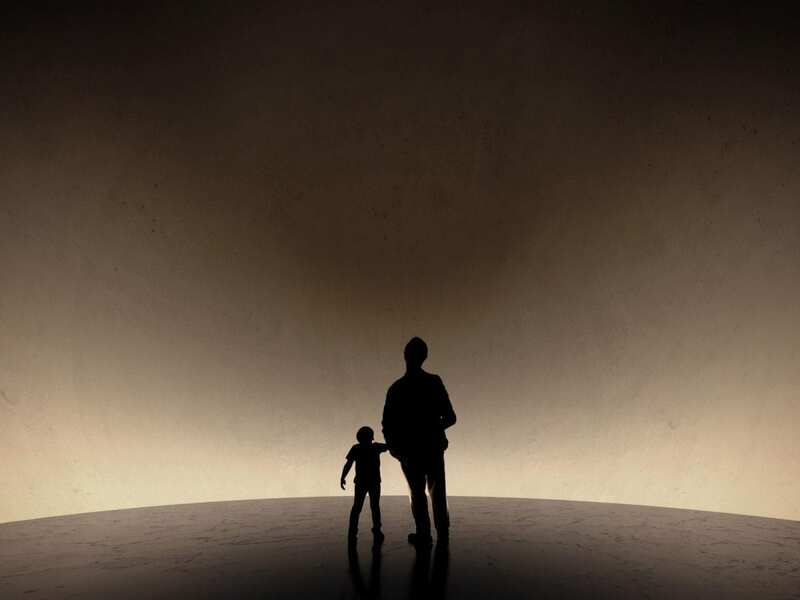 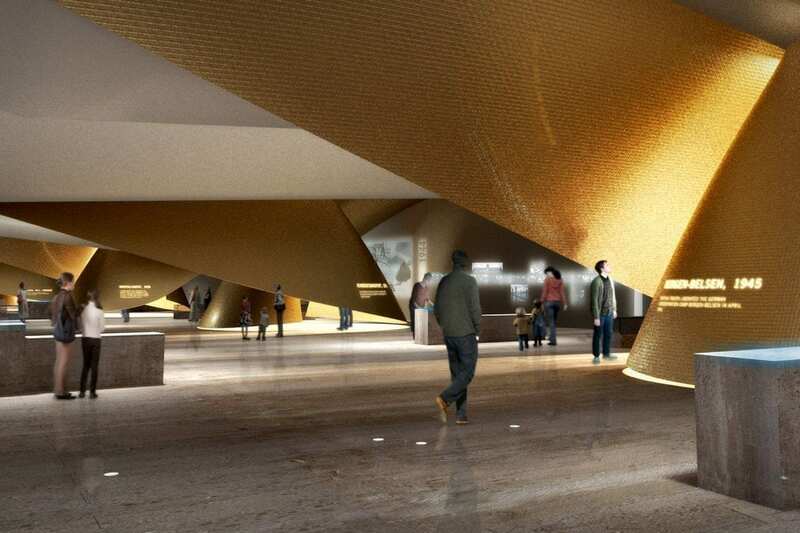 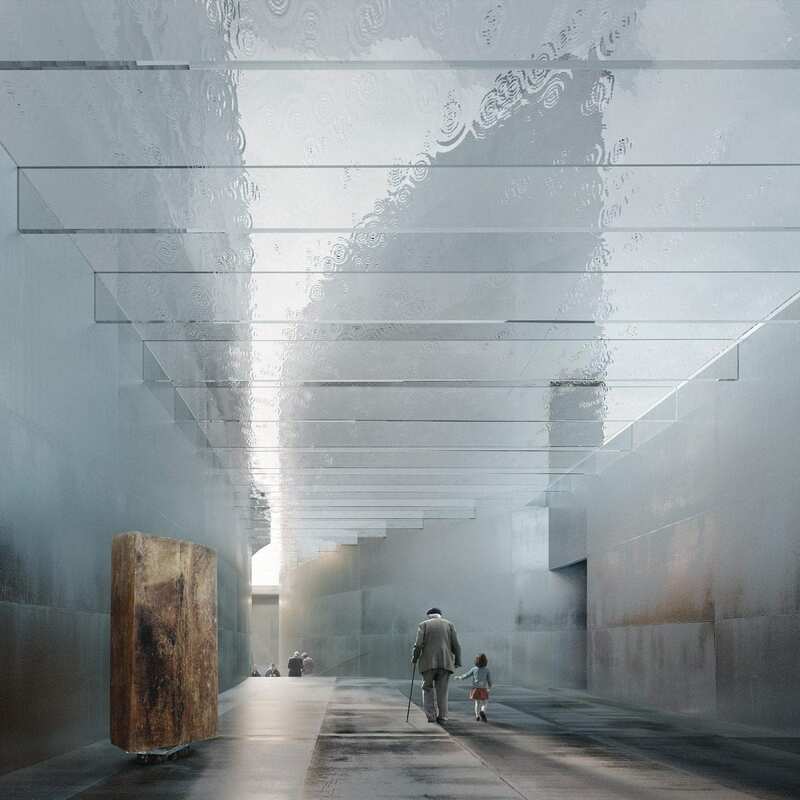 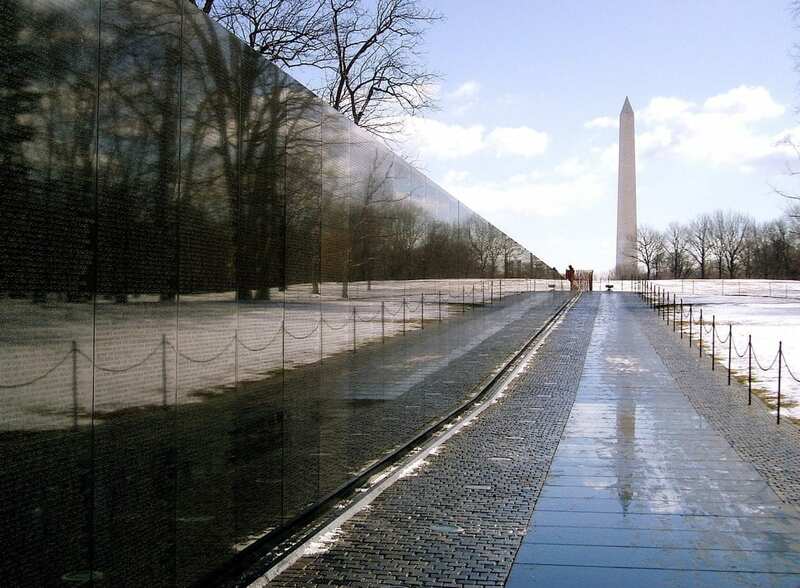 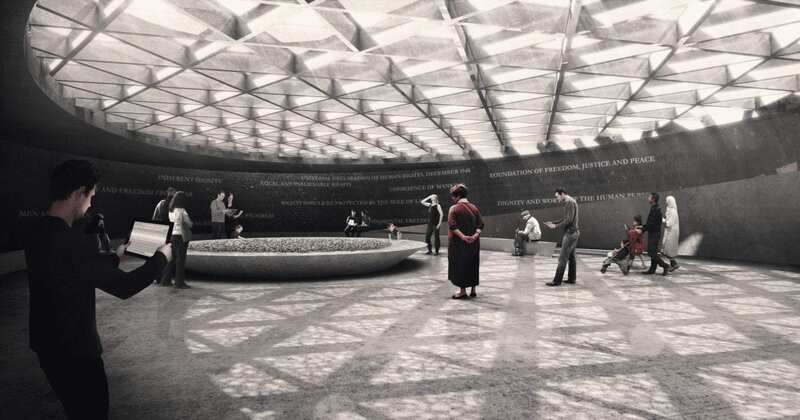 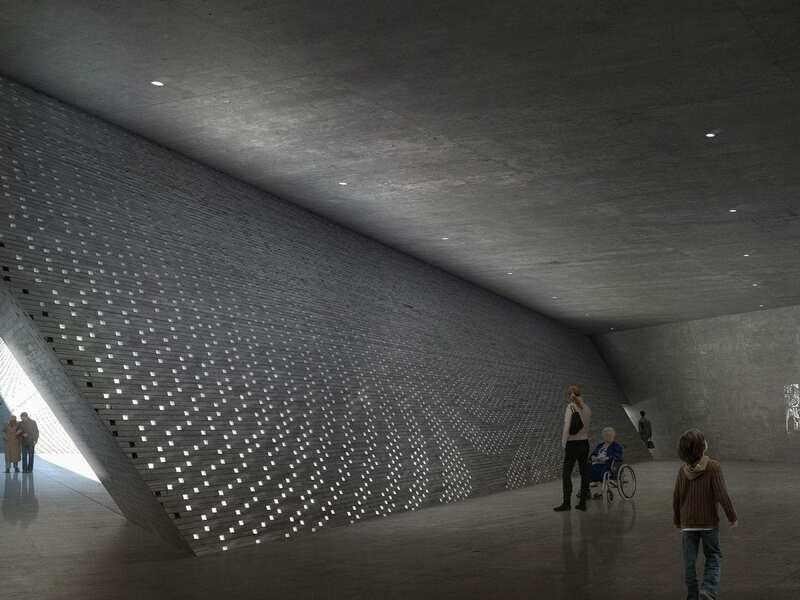 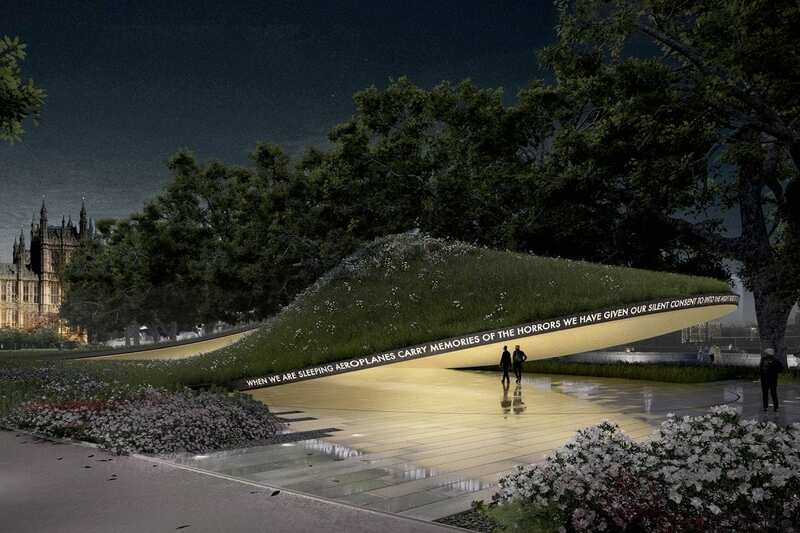 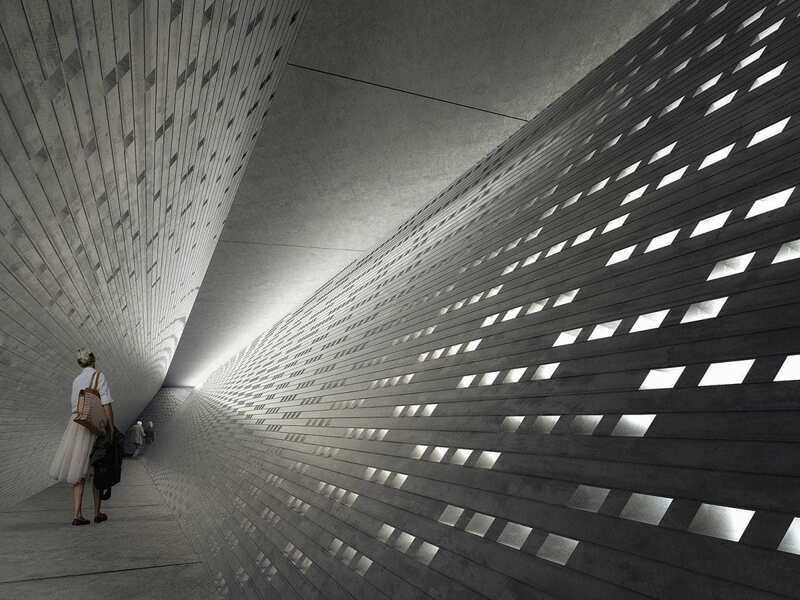 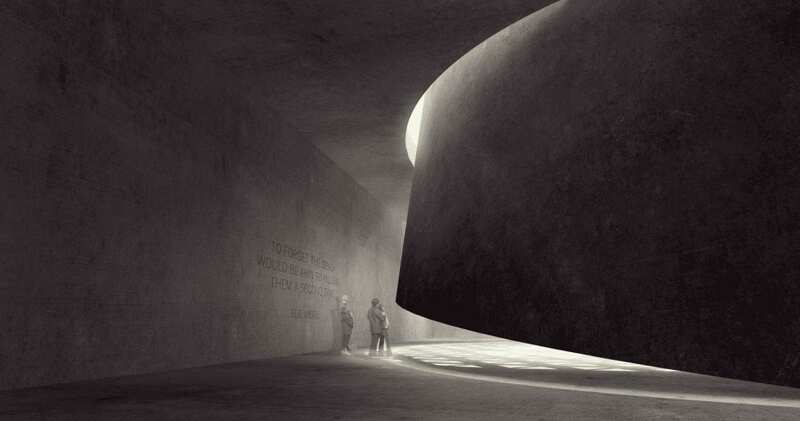 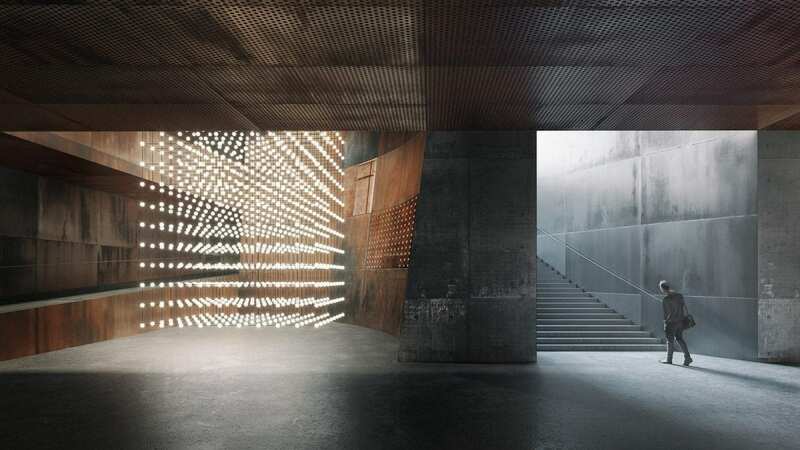 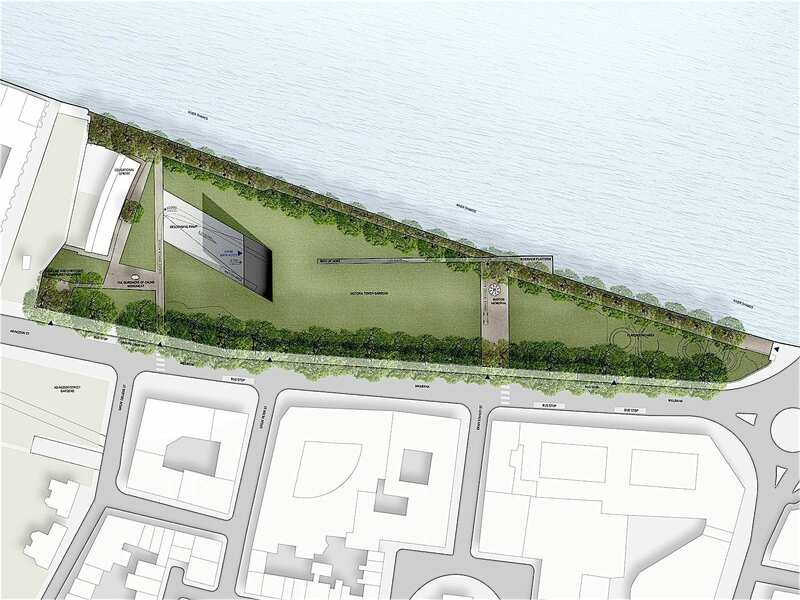 Based on the given limitations of the site, and that this was a memorial, not a museum, all of the competitors chose to lead visitors to an underground experience, rather than make a significant statement above grade. 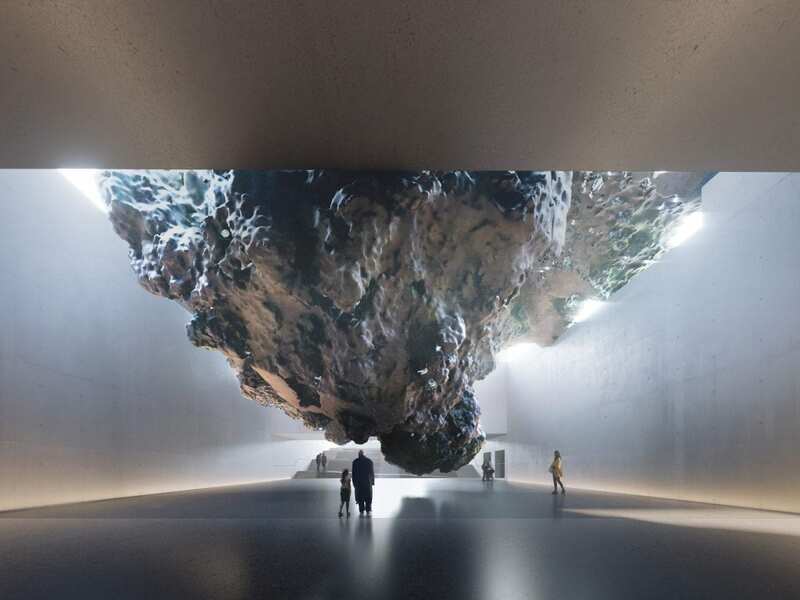 The design by Foster + Partners, with entry and exit the only visible exposed elements above-grade, went farthest in pursuing that strategy; whereas the Anish Kapoor/Zaha Hadid massive cinder-like feature was imposing as a commanding element on the site. 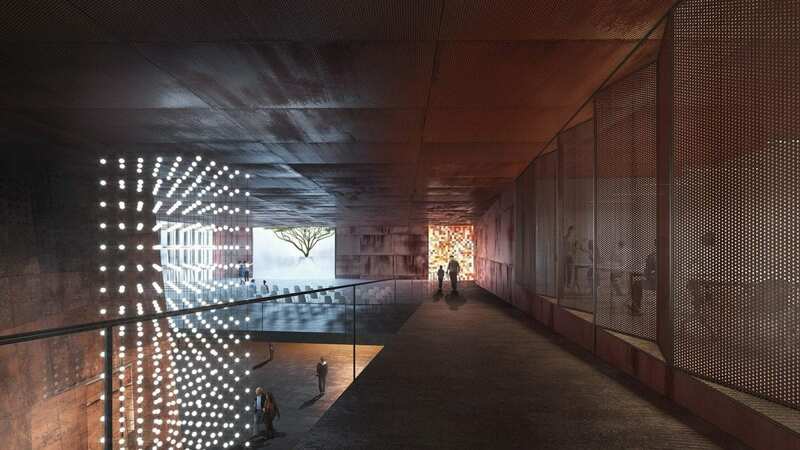 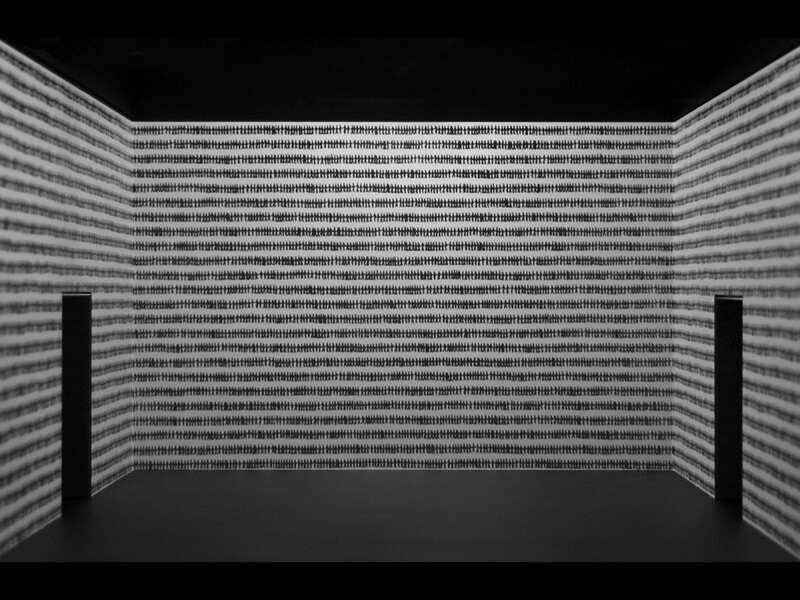 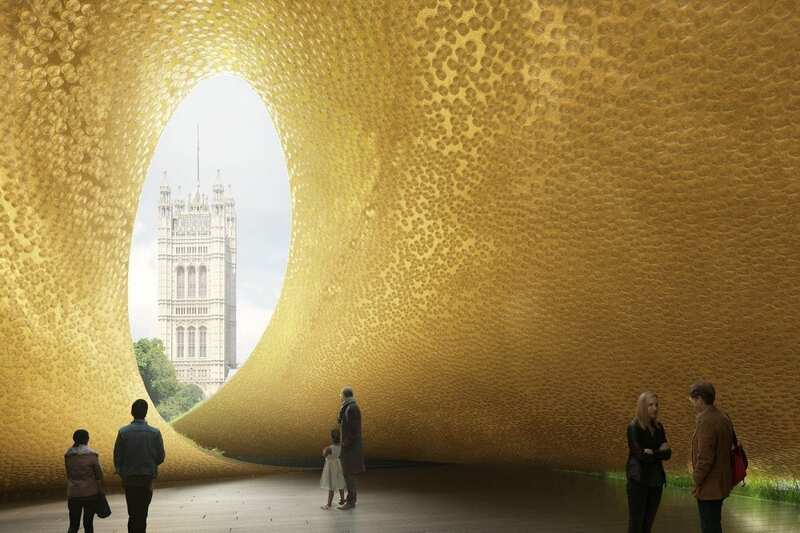 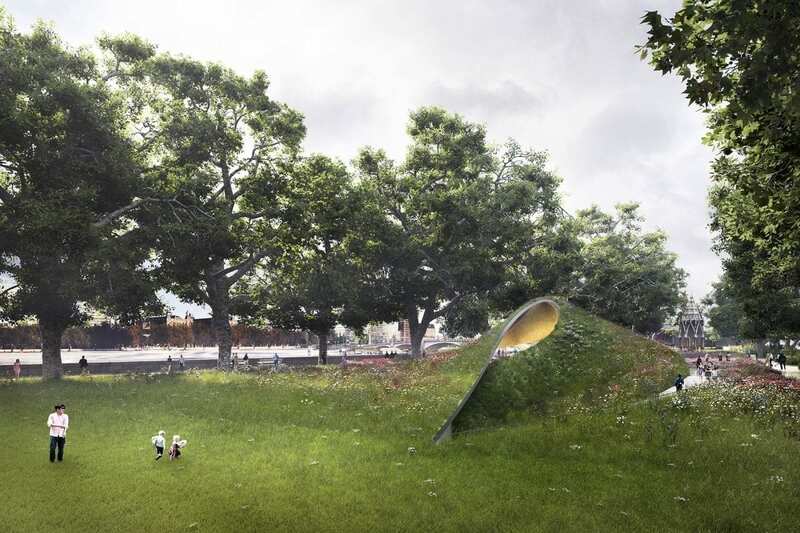 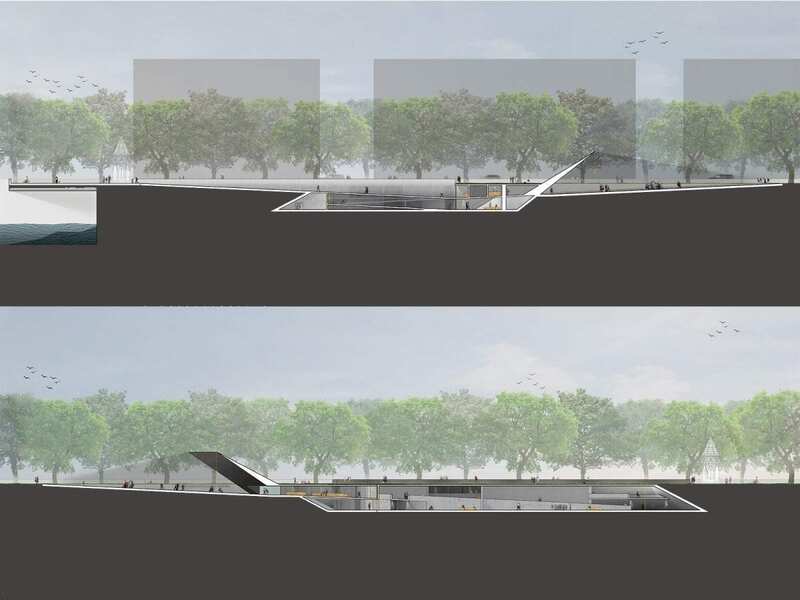 Situated somewhere in-between was the proposal by the David Adjaye/Ron Arad team: their above-ground panels made a strong statement as an arrival feature, but also managed to carry that thought below grade in exponential fashion. 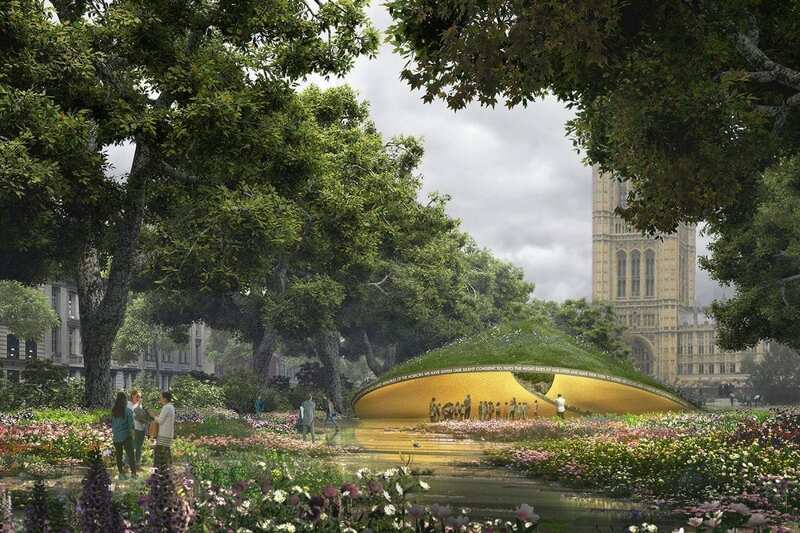 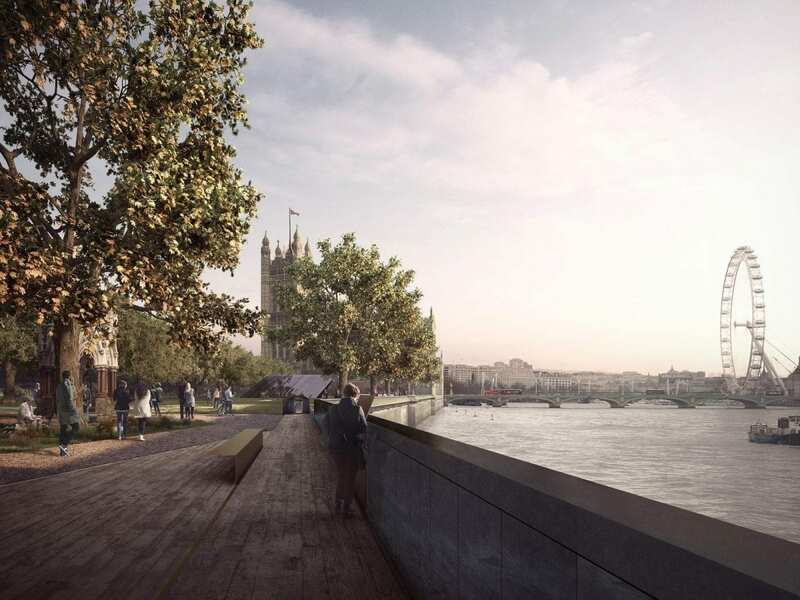 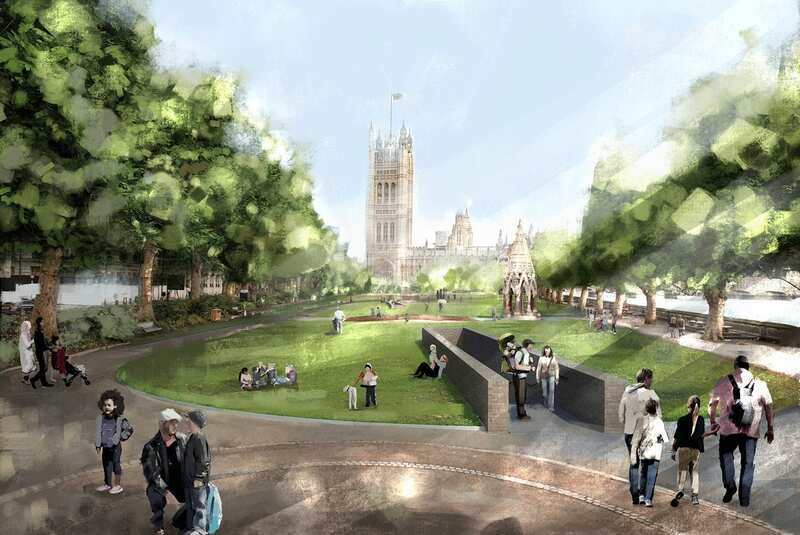 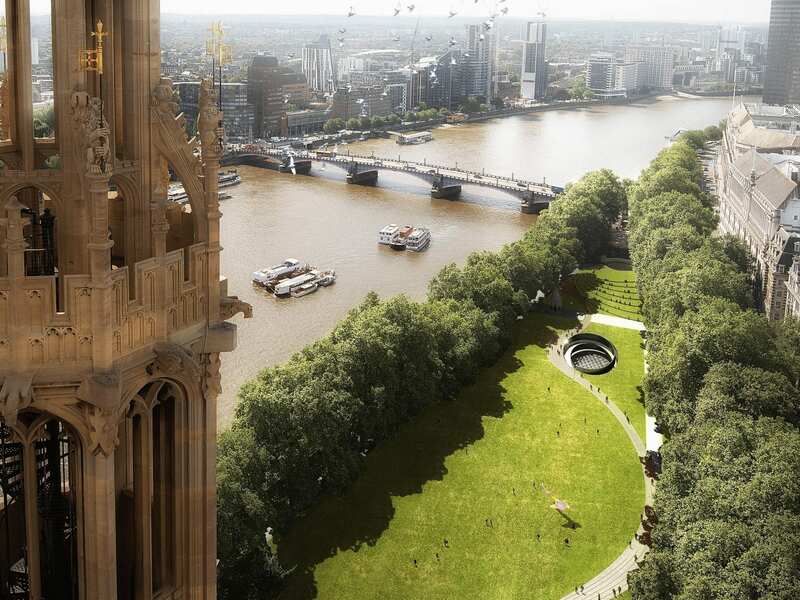 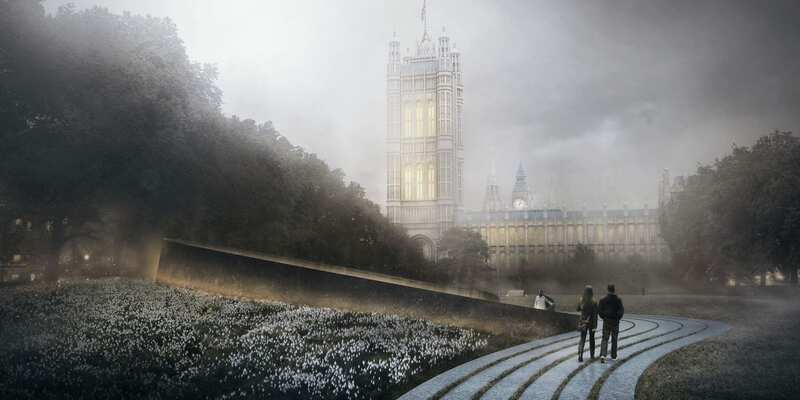 With all this it was well integrated into the landscape, facing the entrance away from Parliament and the central area of the site.